First Lady Fran DeWine explains the meaning of every Bible Gov. DeWine used at his swearing in. Gov. DeWine’s granddaughter, Caroline Darling, sings a faith-based song. 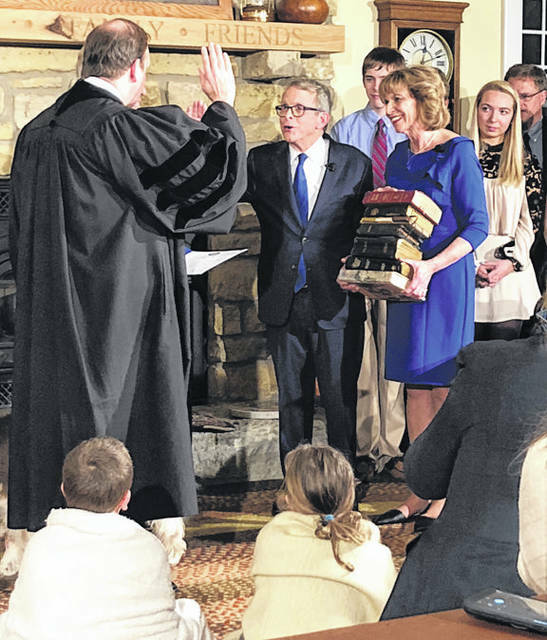 Scott Halasz | Greene County News Cedarville’s Mike DeWine takes the oath of office as he becomes Ohio’s 70th governor Jan. 14. His son, Ohio Supreme Court Justice Pat DeWine, administers the oath. 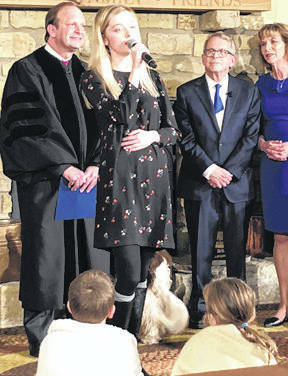 CEDARVILLE — Flanked by family and close friends, Mike DeWine became Ohio’s 70th governor shortly after midnight Jan. 14 in private ceremony at his farm near Cedarville. 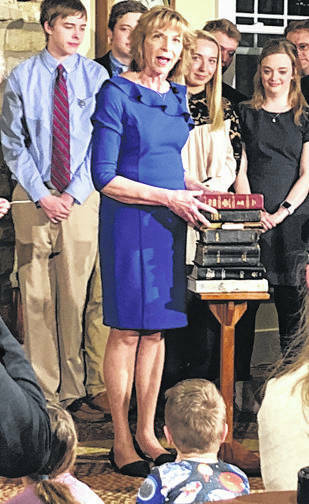 https://www.hhcourier.com/wp-content/uploads/sites/35/2019/01/web1_DeWine-1.jpgFirst Lady Fran DeWine explains the meaning of every Bible Gov. DeWine used at his swearing in. https://www.hhcourier.com/wp-content/uploads/sites/35/2019/01/web1_DeWine-3.jpgGov. DeWine’s granddaughter, Caroline Darling, sings a faith-based song. https://www.hhcourier.com/wp-content/uploads/sites/35/2019/01/web1_DeWine-4.jpgGov. DeWine signs the official oath of office. 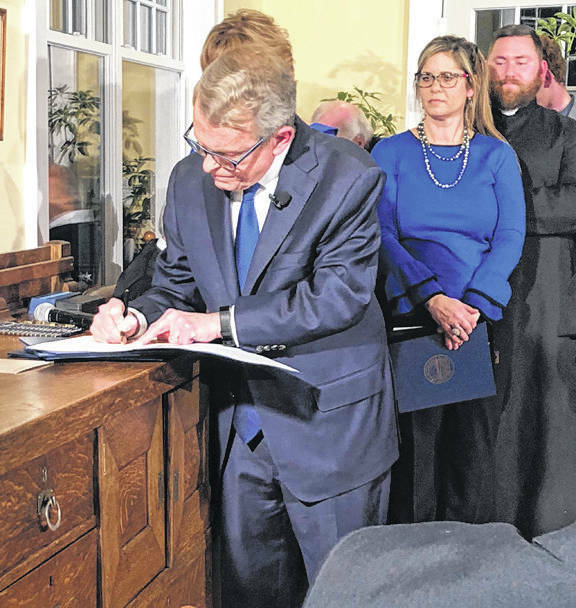 https://www.hhcourier.com/wp-content/uploads/sites/35/2019/01/web1_DeWine-2.jpgScott Halasz | Greene County News Cedarville’s Mike DeWine takes the oath of office as he becomes Ohio’s 70th governor Jan. 14. His son, Ohio Supreme Court Justice Pat DeWine, administers the oath.